Grilled mushrooms topped with red bell pepper, cheese and zesty mayonnaise. On preheated grill, cook the prepared mushrooms until heated through and softened, about 5 minutes. Spread ciabatta evenly with prepared Lemon Tarragon Mayonnaise. 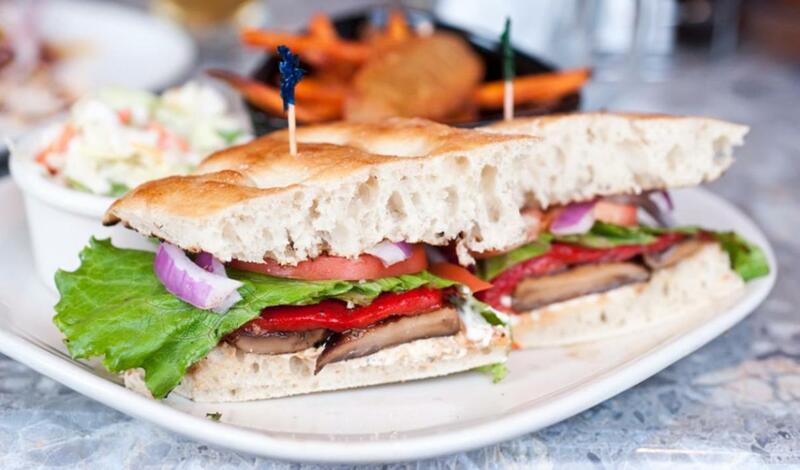 Place mushroom on bottom of bun; top withlettuce leaf, tomato slice and red onion slices.